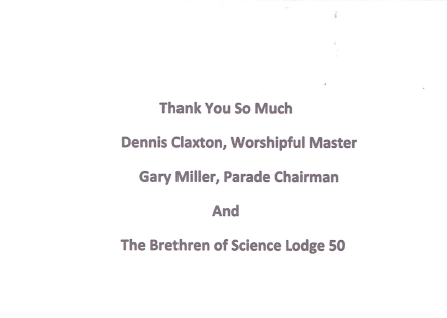 Over 40 Valley members were present for the second portrayal of the 32nd degree by the Valley of the Firelands. Twelve Valley candidates received the degree, having completed witnessing the ten degrees required by the Valley for receiving this degree. The Valley of The Firelands presented VOF 33rd Degree jackets to the incoming Grand Master Jess Raines and Junior Past Grand Master Rick Schau. Deputy's Representative Doug King and wife Mary. Grand Master Rick Schau speaks to the crowd. 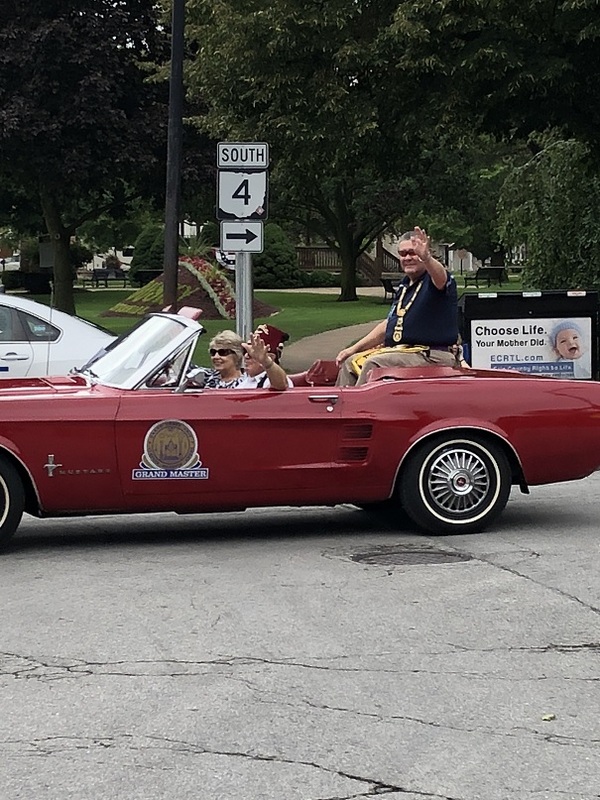 New Honorary "Colonel of the Firelands" Dwight Damschroder. Jackets presented to Kim Nieset and Nancy Laughlin for their work with valley registration. 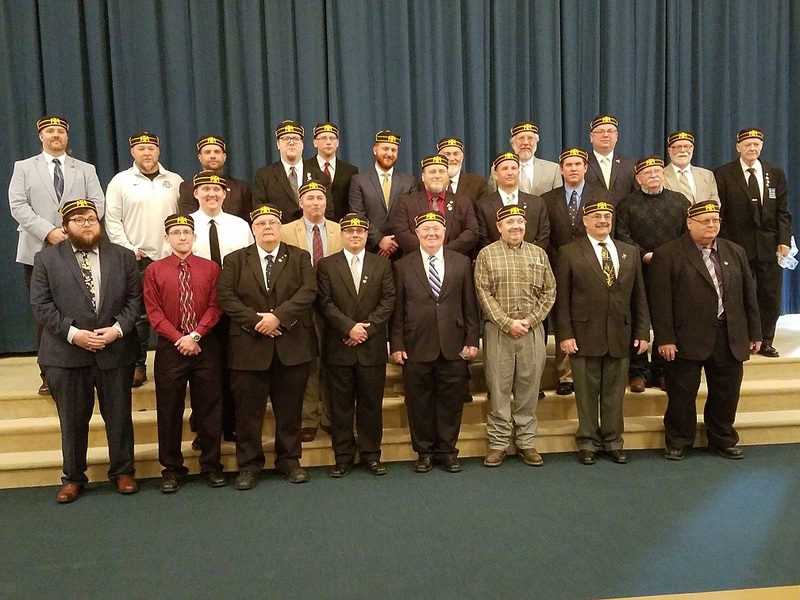 Some of the Valley of the Firelands members who attended the business session sporting new Scottish Rite jackets and ties. 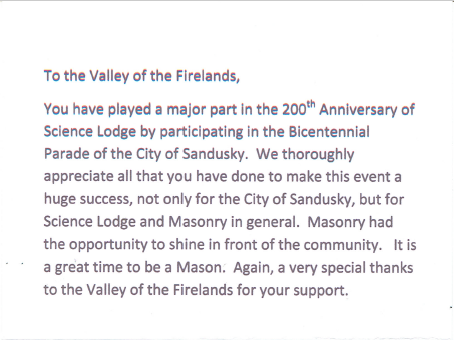 Howard Park received the Valley of the Firelands' first Meritorious Service Award. Howard Park with his wife Cherie and son David. At the OCD celebration dinner. 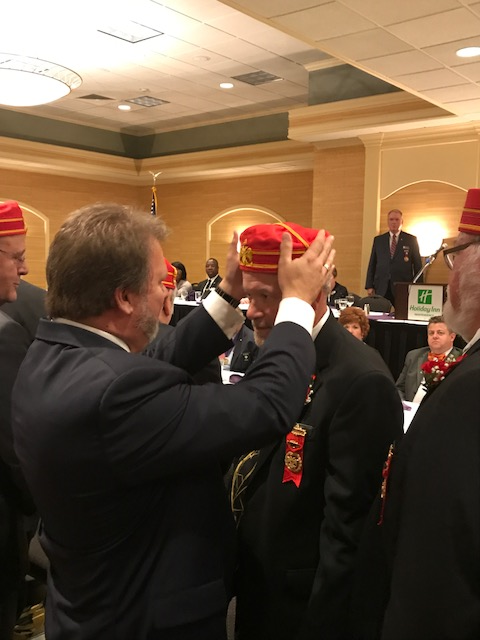 More than 30 current members were in attendance as 15 new hats were presented and 13 members were added. 22 new Members received in Sandusky. 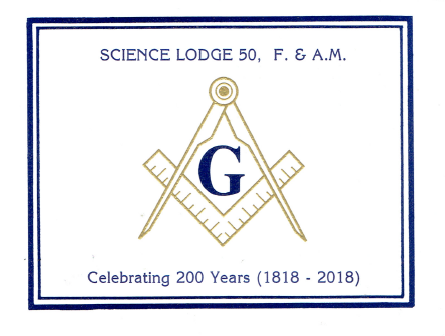 70 Masons and family members enjoyed this event. Over $4,000 earned for the Valley. 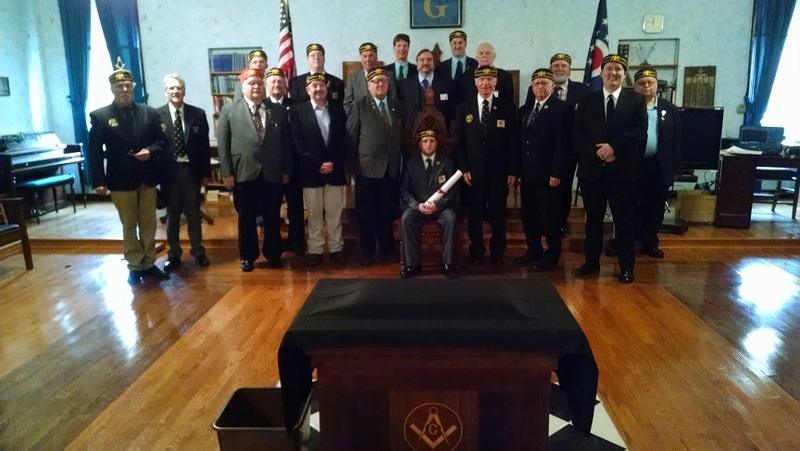 February 8, Roby Lodge, Monroeville, 31 Participants, 7 new members. February 10, Upper Sandusky Lodge, 15 Participants, 2 new members.